Boutique hotel brand Malmaison has announced the launch of its Work + Play meetings and events space at Malmaison Manchester. 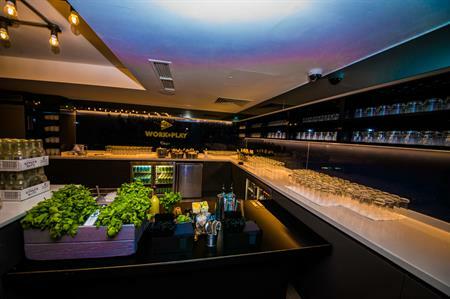 Following the success of its introduction at Malmaison Birmingham earlier this year, Work + Play is designed is designed to offer flexibility to modern businesses. Malmaison has reinvented the classic hotel meeting space with unique artwork, and glass walls, which form a bright and open atmosphere. The new space features five meeting rooms with a capacity ranging from 8 to 110 for conferences and training days. In addition there are four pods available, which offer a more intimate option for smaller meetings. After work teambuilding options are also available, including private dining, wine tasting and cocktail making. Available to rent by the day or by the hour, the spaces provide comfortable seating, facilities for video conferencing and webinars, UHD TVs, and conference calls.